8 Marches Sonores from the headwaters of the Vienne to the Loire estuary. In this piece, artist Pierre Redon invites you to an initiation journey through sound and images, and discover the people who live by the rivers. As you follow the Vienne and the Loire, you will be transported to Guinea or Amazonia and encounter fantastic creatures such as the Bell-Woman, the Bird-Man or the Horse-Woman. Due to Temporary technical issue, the ANDROID APP is only available from that link. To Install it You should set you mobile: SETTINGS > SECURITY > ALLOW APPS FROM UNKNOW DEVELOPERS. Now, you can experience The Sounds From Beyond in two different ways. 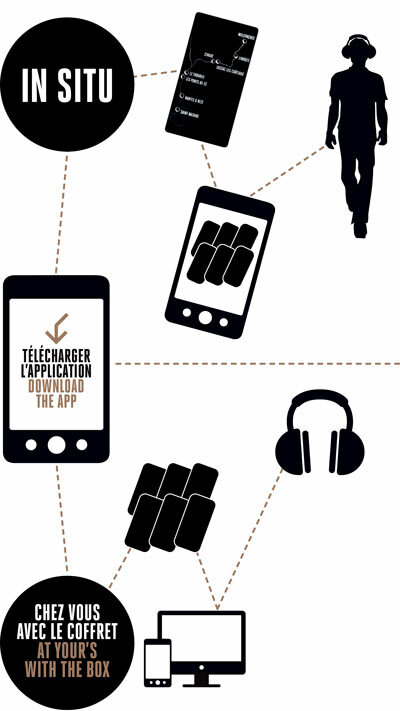 On-site : Download our smartphone app along with the sounds corresponding to your Marche Sonore. Then, with your headphones, go to the starting point of your choice. Each Marche Sonore is an invitation to discover 6 sound pieces. At Your's With The box : With the box, comprising of a photography book, a deck of tarot cards and the mediation journal, everyone can listen to and see The Sounds from Beyond by using the smartphone app. Designed by Pierre Redon, the The Sounds of Borders tarot card deck is freely inspired by the architecture of tarot divination. You’ll find the card game included in the box and in virtual form in the smartphone application. The drawing ritual allows you to access to sound works to launch each Marche Sonore, on site or at home, using your box. The Sounds from Beyond is a work created and directed by Pierre Redon, produced by Quartier Rouge and Les Sœurs Grées in collaboration with FRMJC Poitou-Charentes and MJC21. 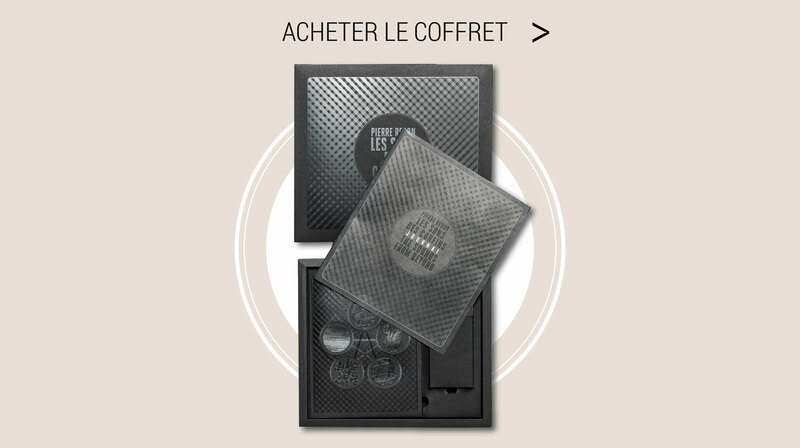 The box is published by éditions Loco – Paris. Communauté de Communes du Plateau de Gentioux (became Creuse Grand Sud in 2014). & The French state (ministry of culture and communication) in the frame of the artistic public procurement. Plan Loire Grandeur Nature (FEDER), régional council of Aquitaine-Limousin-poitou-Charentes. La Communauté de Commune de Bugeat-Sornac , the city of Lussac-les-Châteaux, the municipality of Civaux, the city of les Ponts-de-Cé, the city de Rezé, the city of Saint-Nazaire, the Voyage à Nantes.